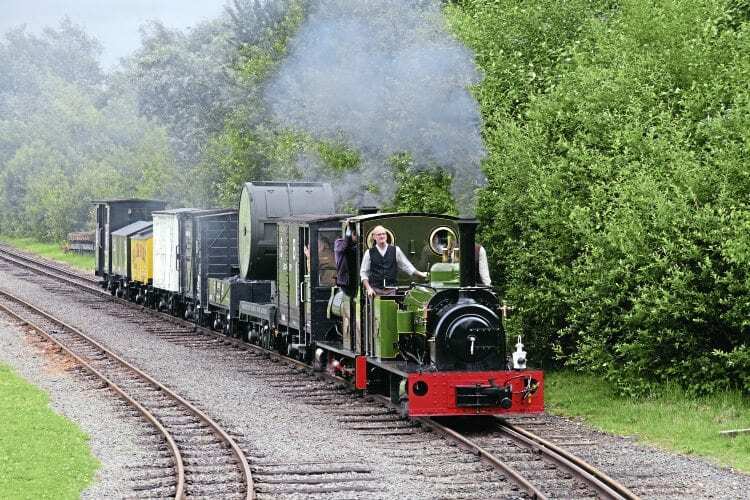 STATFOLD Barn Railway’s June 10 open day featured 16 locomotives in steam, plus rides on the Goose railcar and Burton & Ashby Light Railway Tram No. 14 (battery-electric). Peckett 0-6-0ST Harrogate 2050/1944 is away operating at the South Tynedale Railway, while Hudswell, Clarke 0-6-0WT 1643/1930 Surrey County Council No. GP 39 was in workshops with the boiler lifted. South Tynedale Railway’s Hunslet 0-4-2T Green Dragon was in the running shed and receiving apparently extensive work with a newly constructed cab in position (the boiler was lifted later in June), while STR’s Thomas Green & Company 0-6-2ST Barber was in the workshops. Both were reported as going to Statfold (RM June) as was Welsh Highland Heritage Railway-based Bagnall 0-4-2T Gelert (3050/1953), which was in the workshops awaiting stripping for overhaul. All three are at Statfold for contract engineering work.